China Internet Network Information Center (CNNIC) just released a survey report (its in chinese though) on development of WAP in China. -As of March 2007, there were about 39 million active wap users in China, they used mobile handsets to access WAP sites in last six months. About 90% among them are internet users as well, they access internet via PC in last six months. - 60.8% of WAP users are from the eastern part of China, 24.1% from middle part and 15.1% from western part. 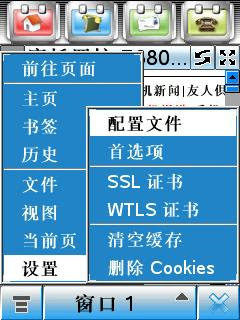 - About 9.7 million, or about one forth of total WAP users, live in Guangdong Province. - 57% users will use WAP at least once a week. - 26% users pay RMB 11-20 yuan per month for WAP usage, 23% users pay 21-50 yuan and 20% users pay 6-10 yuan. - 48% users used WAP search in last six months, 40% played WAP games, while the most popular service is ringtone and image download (63%). - 65000 WAP websites and 260 million WAP webpages in China. - Baidu, Sina, Sohu, Tencent and Netease are all among ten most popular wap sites, others include wap sites by Kongzhong, 3G.net.cn, Yicha.cn(wap search), Lxyes, and China Mobile Monternet. China's growth in wap users will continue to grow exponentially and with the introduction of 3G in the coming months, and better mobile internet access and even greater mobile internet user experience, dont be surprised to see the wap users surpassing the 100 million mark next year and it wont be long before it will surpass the pc as the main device to access the internet.